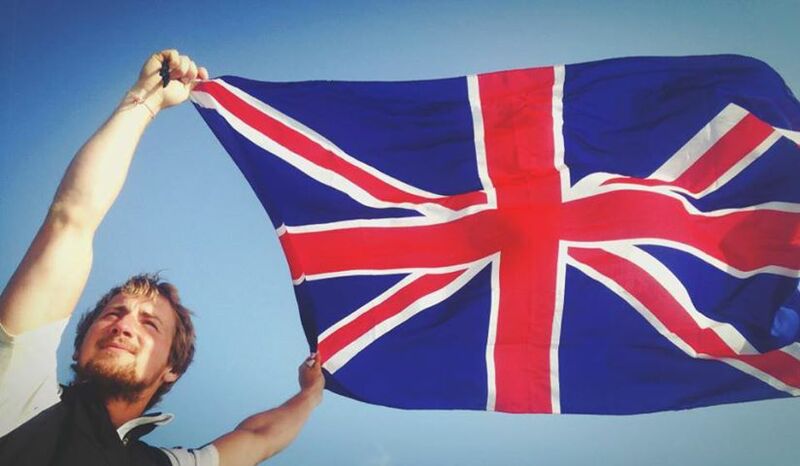 Two west country men who have spent the last 26 days rowing 2,000 miles non-stop around Britain set a new world record when they reached Tower Bridge today(Friday). Jason McKinlay and Josh Tarr, from Salcombe, Devon knocked 11 days off the existing world record when they came home after 41days 4hours and 38minutes at sea in a rowing boat no bigger than a family saloon. On June 1, six boats set off from Tower Bridge to race around Britain’s mainland. By the end of the first week, when the race reached Land’s End, four crews had abandoned the race, mainly due to mechanical problems caused by rough seas. The only two boats left racing were a four-man team, the Islanders, as well as Jason and Josh, who are known as Team Savoir Faire. The four-man crew finished two weeks ago, setting a new world record of 26 days for the epic 2,000-mile non-stop race, the world’s toughest rowing race. 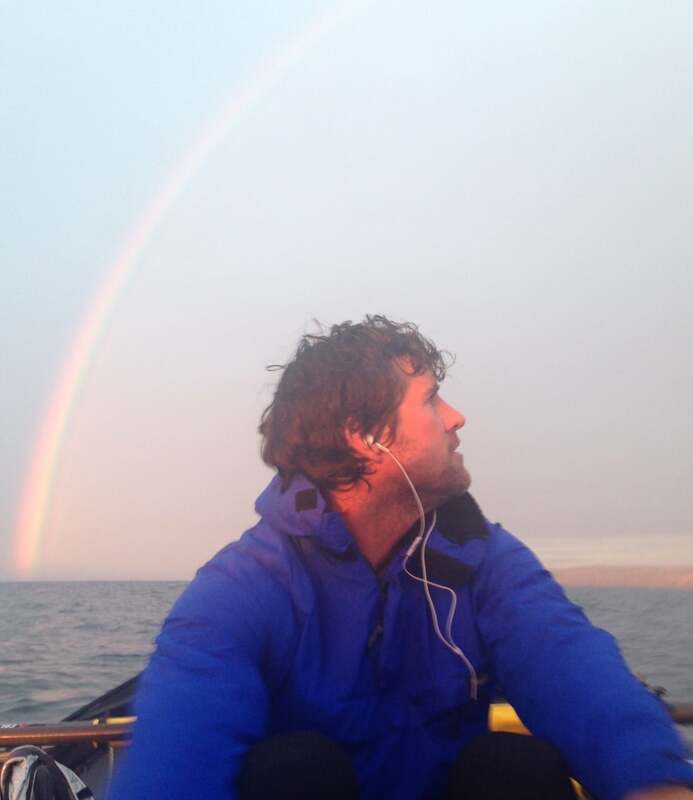 Despite having just two rowers, Jason and Josh have managed to complete the epic journey in under six weeks, living in a boat no bigger than a family saloon. They braved storms and huge waves in the Irish Sea and were pinned down by bad weather for several days in the north of Scotland. When they returned to Tower Bridge after nearly six weeks at sea, the two-man crew were met by family and well wishers at the Royal Naval Reserve base, HMS President. In 2010, Army doctors Nick Dennison and Hamish Reid rowed around UK in 51 days but they started and finished at Lymington, Hants and did not go up and down the River Thames, which adds another two days to journey. From: Now lives in Salcombe, Devon with wife Sarah and their children Oliver, 3, and baby Emilia Rose, born in February. Originally from Cheshire. Profile: Jason is an adventurer who has rowed the Atlantic. He has run no fewer than 55 marathons, including a marathon on Everest and the gruelling Marathon of the Sands in the Sahara desert. 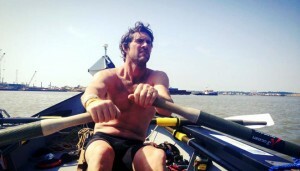 After rowing around Britain, he hopes to complete the Bob Graham round, covering 42peaks in the Lake District in 24 hours. Jason is convinced that a pair of rowers is the way to beat the record because of the crew dynamics. From: Churchstow, near Salcombe, Devon. Works as a sound recordist and lives with partner Helen. 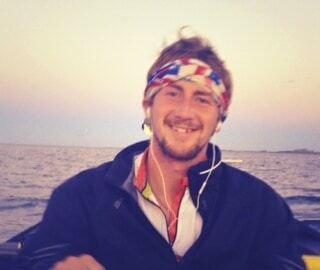 Profile: Growing up near Salcombe, Josh Tarr is an avid surfer and accomplished sailor. 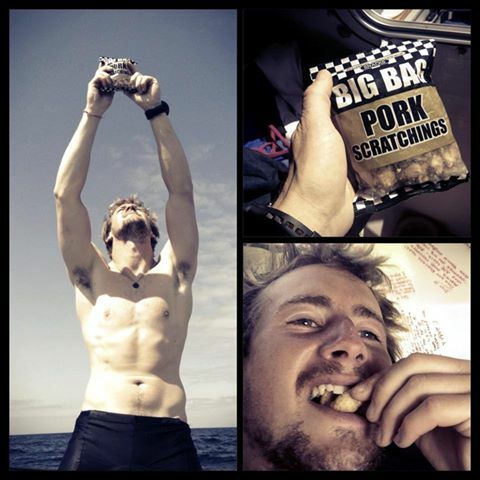 He has also tried his hand at lots outdoor pursuits like kayaking and mountaineering. Last year he cycled alone and unassisted from Lands End to John O’Groats to raise money for charity. Totally unaided, crews in GBRow 2013 tackled the most dangerous & fast turning tides on the planet; cross the world’s busiest shipping lanes, have to avoid heavy shipping including car ferries, industrial fishing trawlers & private yachts on autopilot and navigate live firing ranges at Lydd, Wembury & Aberporth. Just being close to & in sight of land for almost the entire duration makes it easy to quit. They will also cover a distance of over 2000 miles in the very unpredictable Great British weather. Put all these together, and GBRow 2013 is tougher than any other rowing race anywhere in the world. The crews not allowed tie up into any port during their 2000-mile journey. They must carry all their own food and water. Each boat has a machine onboard to turn seawater into fresh for drinking. They are allowed to anchor at sea if the tide is too strong. So its nearly done.. 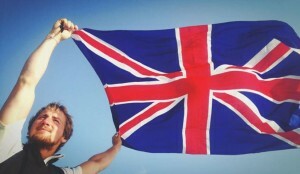 Almost 2000 miles of The British Isles, two men in a small boat. It’s been a truly wonderful experience, with more high’s than we thought we’d have. The only low points, if any, we’re waiting for tides to change so we could carry on the challenge and of course those winds. 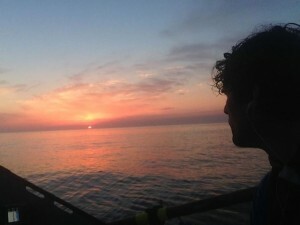 What we’ve come to realise, is that those moments of waiting we’re as big a part of the challenge as rowing at 10.2 knots in the stormy Irish Sea. Everywhere was beautiful in different ways and that’s just it. The contrasting scenery of The British Isles is truly amazing. Each changing with the changing conditions. We know we had incredible weather and wind for the first few weeks but we’ve also been dealt our fair share of the tough stuff too. We’ve had decisions to make and made the right ones and when there’s no decision to be made, we’ve weathered the storms. This entire epic journey would have been extremely different, genuinely, if it wasn’t for your support and encouragement along the way. Breaking this record and establishing a challenging feat for someone to break in the future for two men on the oars has been truly memorable. Thank again to everyone.. We cross the line tomorrow, all being well, under Tower Bridge around 12 to 12:30 with the tide. New Blog from Josh Tarr on Savoir Faire. Incredible day yesterday. We made a big push and covered much more distance than we’d hoped with both of us on the oars. We both needed to eat and rest so I stayed on for a couple hours whilst Jay got some food and very little sleep! At that point where Jay closed the hatch and I was left with a light northerly wind pushing us in the right direction, the rowing was very easy. I settled in for a couple minutes reflecting on some of what we’ve been through and it felt like we were now being allowed to cruise home. It sounds strange but it felt like we’d done it, past all the adversity, the unfavourable weather, the technically challenging parts of the British Isles and now this last part is a formality. I shouldn’t speak too soon because rowing 90 miles down to and up the Thames is as good a challenge as any but in relation to what we’ve already done it feels very comfortable. With all this in mind, I had a moment, music on, looking past the stern there was some city lights and that light orange haze all around them. I tipped my head back to look straight up and it was one of the clearest skies we’ve had. If this was a film then it could easily have run the credits at that point. Six hours together on the oars last night, meant Jason McKinlay and Josh Tarr made real progress towards the finish of GBRow 2013 – the world’s toughest rowing race. At the start of day 39 at sea, the pair from Salcombe, Devon are now around 90 miles from the finish at Tower Bridge in London. At the moment, we expect them home early afternoon on Friday (July 12). That means it will have taken them 41 days to row around the British mainland – a new Guinness World Record for this epic feat. 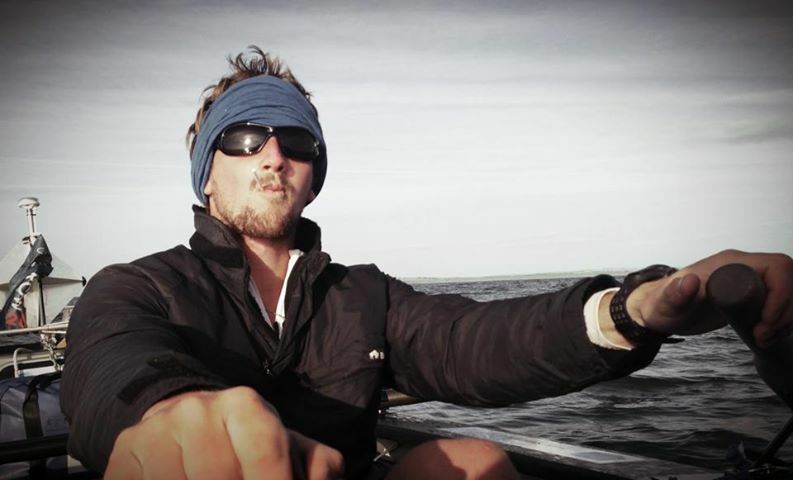 In a call to race HQ this morning from near Southwold on the Suffolk coast, Josh said: “We are please at how we’re doing. We’re ahead of where we thought we would be. “We rowed together for six and a half hours last night with the tide and were making six knots at times. I stayed on the oars for two more hours after that to allow Jason to rest. “But by the time Jason came on for his shift, the tide was too strong. So at 02.30, we anchored for a while. 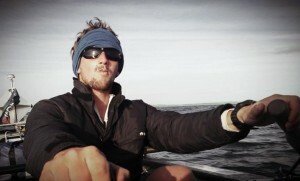 We now have a tail wind blowing about 12 knots and with just Jason on the oars, we are rowing at four knots. Savoir Faire are at anchor just south of Happisburgh on the Norfolk coast, 139miles from the GBRow 2013 finish. At this stage it now looks likely they will reach Tower Bridge early on Friday afternoon (July 12). This will be revised during the week as they approch London. Row hard, eat, sleep, row hard, eat, sleep, row hard, sleep, anchor.. 2 in a cabin for a few hours, then it again.. The best session of the day seems to me to be between 2-4am, when first light breaks though, or 11-1 where last light leaves us for an hour or so… In Scotland, it stayed light all night! Epic few days – An update from both of us now we have signal! From Hartlepool we made a big push to Bridlington, an ambitious target time was set and it was hard work through the sweltering heat.. The coastguard was flying around looking for a kid that had been swept out to sea in a small boat, a kayaker was helping with information through the VHF and thankfully all worked out and the kid got… back safe! It’s a tricky place the coast! We needed to anchor up for a few hours yesterday morning and shortly after getting comfortable in the cabin we heard a loud snorting next to us?! Neil (the seal) was literally a meter from us, we both squeezed our heads out the hatch at the back (stern) and watched him sweeping back and forth past the back of the boat, knocking the rudder! Really cool but we needed some sleep..
We set off again, made good time and arrived early to Bridlington! The plan was to regroup and see whether an open crossing to Norfolk would be feasible based on wind and tides.. All looking good we kept going ahead of schedule! A great couple days followed, blessed with fair weather! We’ll try to post about our individual experiences on the oars but anyone that has been following the brick can see we’re anchored just off the Norfolk coast ready to work our way around to the mouth of the Thames at 6am! It’s so difficult to tell still but our best guess at this stage is arriving at tower bridge on Friday, we’re doing our best! Spirits are high and we’re keen to make every bit of progress we can. The tides are strong around here so we need to play it smart and make the most of the windows. We should have signal from now on so there’ll be a few more updates coming your way as we go..
Savoir Faire are now just four miles off the north Norfolk coast, near Sheringham and more importantly less than 160 miles to the finish. In a text to race HQ overnight, Jason McKinlay predicts they will reach Tower Bridge in London for a Friday/Saturday finish. We will be able to predict the finish with much more accuracy as the week progresses.